I'm super excited to share this company with you all! 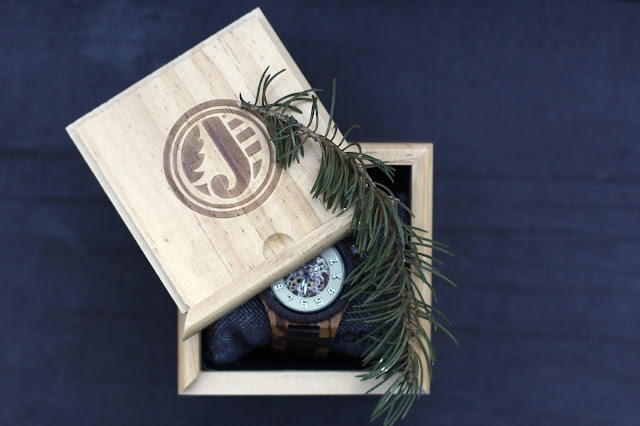 Jord (pronounced "yord") makes beautiful wood watches that I have been fawning over. And while you won't always see me sporting a watch, Conor always wears one. He has a few different pieces that he wears, but he had nothing quite like something from Jord. That said, we both jumped at the opportunity for him to try one out! 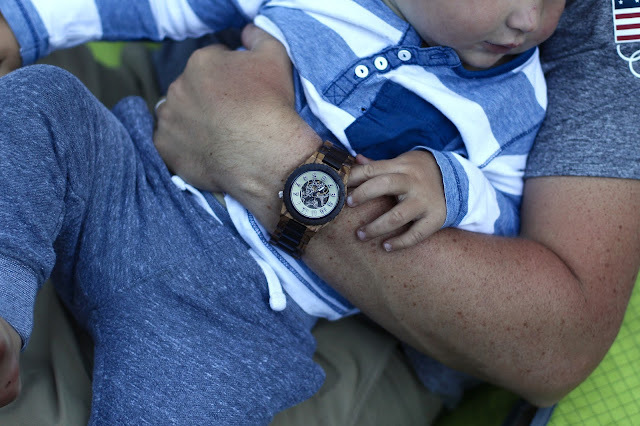 He chose this really cool skeleton watch crafted from zebrawood & dark sandalwood which just so happened to be my favorite too! And let me just say when it arrived, I was in love! When I first opened the package and saw the wood box, I was already sold. Packaging totally sets the mood for whatever surprise waits inside; I'm such a sucker for pretty packaging. The watch itself is so striking (no pun intended), and it fits Conor's style perfectly. Totally a man's man's watch! 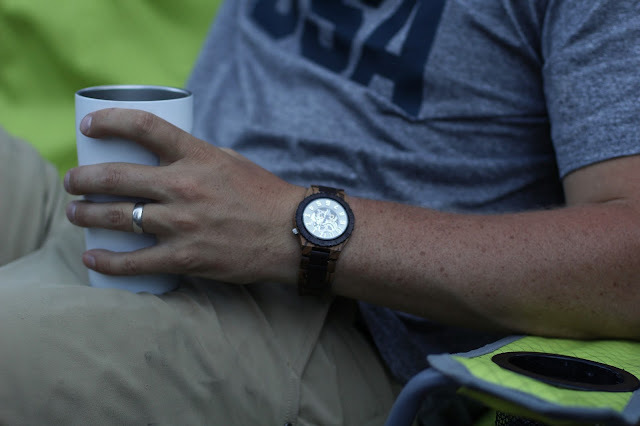 When he wears his wood watch, I find it constantly catching my eye. A conversation starter for sure. It looks damn good on him whether he's off to work or wrangling the baby on a camping trip. Doesn't hurt that Conor is easy on the eyes either! He's comfortable dressing it up or down and it has quickly become a favorite of his. So, call us Jord fans over here. We love how unique each style and even each individual watch is with the natural grains and textures. But even more importantly we love that they are handcrafted right here in the USA. We all know how much the Keenans love America. So please check out this wonderful company; they are certainly deserving of a look if you want to "up" your significant other's wrist-game. And because today is a good day, you all have a chance to win a $75 Jord giftcard, boom! Click the link here to enter. The giveaway ends August 25th just before midnight. And a little bird told me you may get a coupon code just for entering the giveaway. May the odds be ever in your favor! I received this watch for free in exchange for an honest review. All opinions and that handsome wrist are all mine! Love the watch he chose! These are so pretty! 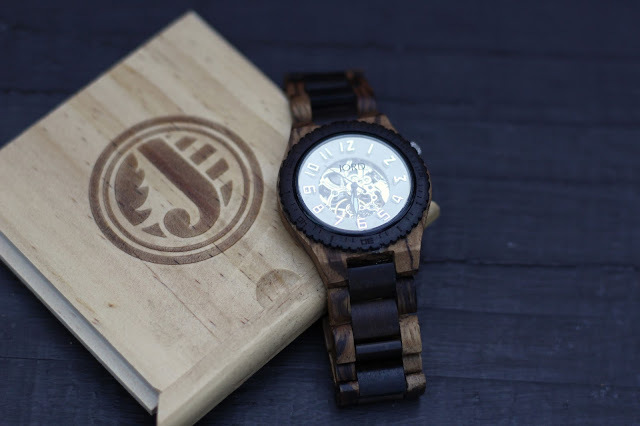 i love the look of wooden watches!! scc rocks that one! Jord is a great company for sure! Love their stuff! Love! I never knew it was pronounce Yord! Good to know :) The watch is beautiful! So, I've been pronouncing it wrong... Whoops. That watch is lovely, and Conor does a fantastic job sporting it!